Chicago has a deep history with fire and smoke and the people who live in the city are well aware of how much damage one can do to the homes and businesses in the area. Although Chicago overcame the great fire of 1871, property owners are still at risk of a blaze impacting their residential and commercial properties, which is why 911 Restoration of Chicago is standing by to help. The restoration company understands the importance of fire damage restoration and their technicians are prepared to offer their services the moment the fire department has put out the flames and deemed the property safe to re-enter. We provide property owners with free fire damage assessments after the disaster has occurred. They will check for ash, soot, and smoke damage, along with inspecting any water damage that may have been caused by the fire department. It is important to professionals that they provide complete fire damage restoration services. This way customers can feel confident that our experts address every aspect of the fire and smoke damage. 911 Restoration of Chicago wants to be the main fire information center for Chicago, Naperville, and the surrounding cities. So, call our office when you need soot, ash, and smoke removal services and our highly trained technicians make sure you receive the fire cleanup you deserve. After the firefighters have put out the flames in your home or business, the best way to deal with the smoke damage is to hire technicians who can provide acidic smoke removal services. Smoke can be a destructive force in a home or business, staining walls and ceilings, covering furniture, and permeating the interior with a strong odor. The longer smoke lingers inside of a property, the worse the effects become, which is why it is so important to hire a professional fire damage restoration team as soon as possible after the flames have been extinguished. 911 Restoration of Chicago is capable of all smoke and fire cleanup services, so you can trust in our ability to completely restore your property, no matter how severe the destruction may be. Whether the fire started from a natural disaster or occurred due to faulty electrical wiring, the experts can implement the smoke, soot, and ash removal services you need to get your property back into its original, clean condition. 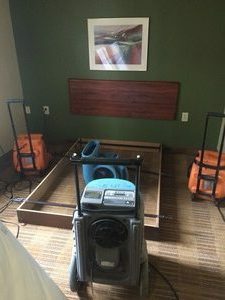 It is important also to understand that smoke in your property can uproot many other problems, especially when mixed with water, such as warping your wood floor, sparking a mold infestation, creating oiling stains, and filling the property with a foul odor. 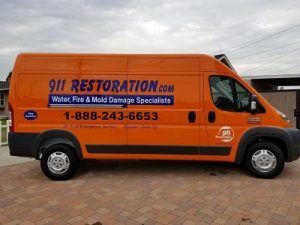 911 Restoration of Chicago knows the difficulties associated with fire and smoke damage, so they make sure to provide their customers with top-of-the-line fire damage restoration services. Call us when you need to work with a fire cleanup team that genuinely cares and understands your needs. Often when the flames are out, a property owner is quick to call a restoration company without realizing the need for specialists who also administer water damage restoration. The fire department will flood the inside of your property while putting out the flames, often causing just as much water damage as fire damage. Once the flames are out, the first step is to make sure that you have permission from the fire department to proceed with fire and smoke restoration. At this point, our team will step in and determine precisely what repair services need to be implemented. Agents will provide a free insurance consultation to any customer who needs assistance. 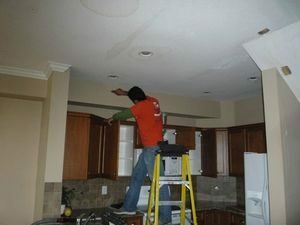 Not only will we conduct all the restoration work, but staff members will file your insurance claim for you. 911 Restoration of Chicago can answer any questions you may have concerning fire and smoke restoration, whether you live inside Chicago proper, Naperville, or any other nearby city. So, give us a call today, and we will provide you with a Fresh Start after a fire has affected your property.